A large network of motorable roads connects Lansdowne with various cities and towns that are present in the Uttarakhand district. Tourists travelling from different Indian states can also reach this beautiful destination Lansdowne with the help of a large number of state government run and privately operated luxury and deluxe buses. A road trip can help a person to explore the real beauty of this town. The distance from Delhi to Lansdowne is 250 kms and it takes around 5 hours and 47 minutes to reach there by car. Once you book taxi from Delhi to Lansdowne, explore the popular sightseeing places in Lansdowne and have wonderful memories. All you have to do is go to the booking tab and select a car of your choice. Your cab fare with no hidden charges will be provided upfront. There is variety of options to book cab from Delhi to Lansdowne and a cab can be chosen from AC Indica, Innova, Indigo and luxury cabs. We guarantee the Best Fare. Mussoorie Express is the best train to reach Kotdwar, the nearest railway station to Lansdowne. The train leaves Old Delhi station at 10.20 pm and reaches Kotdwar at around 6 am in the early morning. Road - Lansdowne is 250 km from Delhi, and 7-8 hrs drive away. 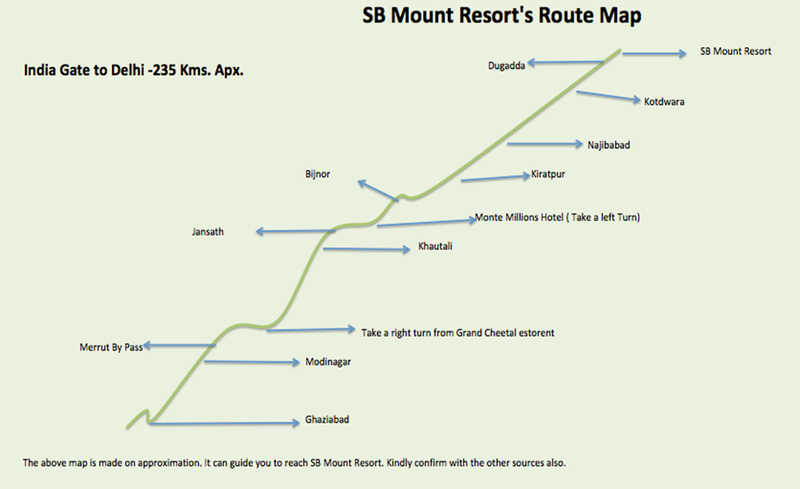 It is situated en route Kotdwara - Pauri road, NH 119.